Observing Indonesia over half a century—rather than via the prism of daily newspaper headlines—reveals a poorly understood story of fundamental economic, social and political transformation. It’s one that the Bulletin of Indonesian Economic Studies (BIES), produced by the Australian National University, has monitored every four months since its inaugural appearance in June 1965. At that time, Indonesia was in an awful state. Its economy was in decline, as it had been more or less continuously for the previous 50 years. Hyperinflation was out of control (so much so that the note printing facility broke down!). About 60% of the population was living below a very meagre poverty line. The majority of the population was illiterate, while more than one in ten babies didn’t live to their first birthday. There was a deep political stalemate, a precursor to the terrible loss of life that was about to occur. The country had disengaged from the global community, including the United Nations and World Bank, preferring instead to join the so-called Peking-Pyongyang-Hanoi-Phnom Penh-Jakarta axis of ‘new emerging forces’. Indonesia’s territorial integrity was also in doubt. Written off in the leading development economics textbook of the time as a ‘chronic economic dropout’ Indonesia then performed one of the greatest U-turns in modern economic history. The New Order regime led by Soeharto from early 1966 in fact ushered in decades of rapid economic development. Per capita incomes have risen some six fold in the ensuing five decades. Very few countries, and practically none outside East Asia, can match this record, aptly termed ‘The East Asian Miracle’ by the World Bank. This rapid economic transformation has been accompanied by equally profound social progress. Poverty incidence has fallen to about 10% of the population, while education, health and nutrition indicators have improved remarkably. Importantly also, for this, the world’s largest archipelagic nation state, the benefits of growth have been reasonably broadly distributed across the 34 provinces and the 520 districts and municipalities. During each of the three key years in Indonesian history—1945, 1966 and 1998—the doomsayers have been in the ascendancy, and on each occasion Indonesia has proved them wrong. In 1945, with the sudden declaration of Independence as the Japanese troops withdrew, Indonesia hardly existed as a nation state. The colonial authorities had done little to develop the instruments of a modern state (it was estimated that in 1945 Indonesia had only 2,000 university graduates), and the Dutch government attempted to reassert control in a bloody conflict that persisted until the 1949 cease-fire. In 1998 Indonesia faced another daunting challenge as the Asian financial crisis tore through the economy and polity. This was one of the most severe economic crises in recent global history, with a growth collapse (that is, from the pre-crisis growth rate to the economic contraction in 1998) of 20 percentage points. Mounting political protests in the wake of the crisis led to the collapse of the seemingly impregnable Soeharto regime. In its wake, there was an institutional vacuum: Soeharto was the institution of government. 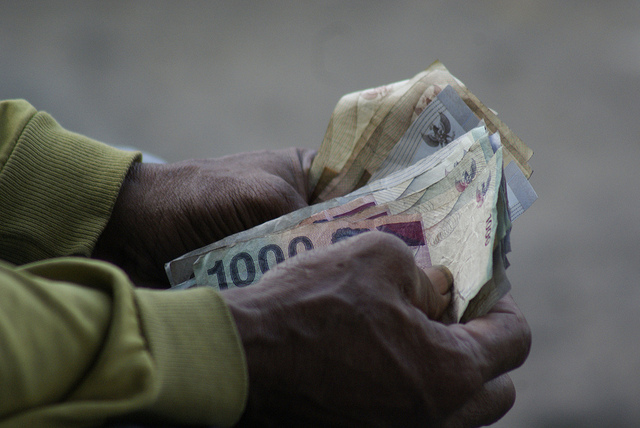 Besides the economic and financial collapse (the Rupiah:US$ exchange rate fell from 2,500 to 17,500 at one stage), and the attendant social hardship, including nasty inter-ethnic conflict, there was no institutionalized way forward. ‘Yugoslav’ type prognostications were the order of the day, especially after the East Timorese voted decisively for Independence in 1999. Indonesia then faced a period of instability and uncertainty, with five presidents in six years. But in another remarkable transformation orderly processes of government were restored, and the economy bounced back to moderately strong growth. Comparative scholarly surveys have confirmed that there’s no parallel in the developing world for such a swift economic and political recovery from the seemingly hopeless situation of 1997-99. The Yudhoyono decade, 2004-14, nurtured the infant democracy and consolidated the return to economic growth. President SBY, as he was widely referred to, frustrated some with his highly cautious approach to a range of economic and political issues. But his legacy is surely beyond question, as he left the nation more secure, peaceful and prosperous than ever before. His successor, Joko Widodo, ‘Jokowi’, was elected on a wave of support for this quintessential political outsider, of modest means from outside the major political families and party machines. It’s too early to pass definitive judgement on Jokowi after less than a year at the helm. He was a great success as mayor of the Central Java city of Solo, and then briefly as governor of Jakarta. But his administration has struggled to develop a coherent narrative on development priorities and strategies. That his leadership is periodically challenged from both within and outside the ruling coalition illustrates how difficult it is to govern such a complex and diverse country. Standing back, the benefits of a more prosperous Indonesia to the country’s 260 million people have of course been incalculable. As they have for the neighbourhood, especially the 620 million people who live in the ten countries that constitute the Association of Southeast Asian Nations, ASEAN. To be sure, challenges abound. Indonesia’s economic dynamism during the democratic era hasn’t matched that of the Soeharto era. Although poverty has fallen dramatically, most Indonesians remain somewhat precariously ‘non-poor’. Inequality has risen significantly over the past decade. Indonesia’s precious tropical ecology is under threat as never before. Corruption, both the grand and the petty, remains widespread. Economic nationalism is still a potent force. The country is seriously under-investing in physical infrastructure. Like Australia, Indonesia also faces the challenge of adjusting to an era of lower commodity prices. These and many other issues have been analysed continuously in the four monthly BIES, in its ‘Survey of Recent Developments’ and many other specialist studies. Pioneered by the late Professor Heinz Arndt, an academic of extraordinary vision and energy, and supported also by the Department of Foreign Affairs and Trade, the BIES is a collaborative effort between academics at the ANU, a group of close colleagues in Indonesia (four of whom were members of the outgoing Yudhoyono cabinet), and researchers from many other universities in Australia and around the world. Hal Hill is H.W. Arndt Professor of Southeast Asian economies at ANU. This week marks the 50th anniversary of ANU’s Indonesia Project. Image courtesy of Flickr user Blek.